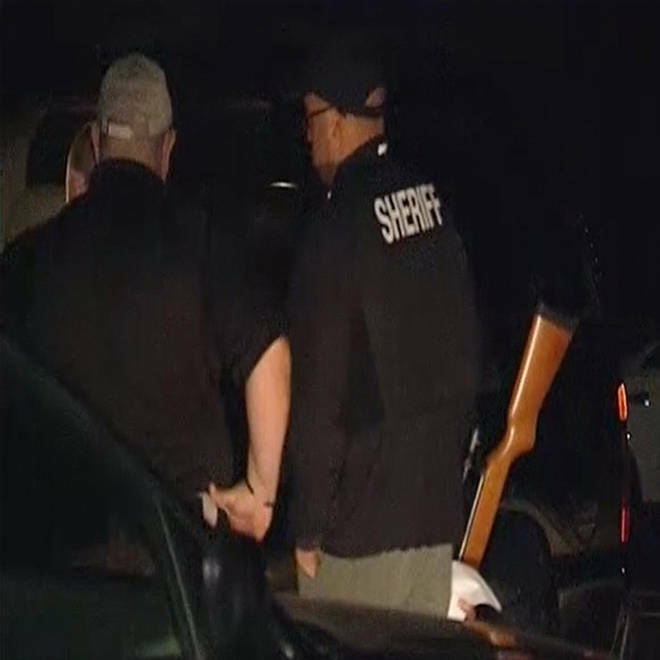 Investigators at the scene Tuesday night of a home in Greenwood County, S.C., where multiple bodies were discovered. Six people, including two children, were found shot to death Tuesday night in an apparent murder-suicide in South Carolina, authorities said. Greenwood County Sheriff Tony Davis said at a news briefing that the victims were found after a 911 call from a home on Callison Highway, about 20 miles south of Greenville. They ranged from 9 years old to their early 50s, he said. Davis said that about 6 p.m. ET, officers got a 911 call from a man who said he was feeling "edgy" and was going to harm himself. John Long, a sheriff's spokesman, said that while deputies were responding to the first call, a neighbor called 911 to report that she had heard a shot and that children from the Callison Highway residence had fled to her home. Four children were released from the house before the shootings, Long said. Treating the incident as a hostage situation, deputies called in a negotiator, but there was no response from inside the home, Davis said. A SWAT team then entered the home, where the bodies were discovered, he said. Authorities called the incident a domestic dispute and said there was no immediate threat to nearby residents. The State Law Enforcement Division told NBC News it was investigating.